After a number of false dawns over the past decade it seems like practical and affordable virtual reality is finally here. Manufacturers like Sony, Samsung and Oculus VR are at last producing headsets within the budget of many consumers and games designers are working hard on developing the software to make the most of them. The fact that Facebook bought Oculus VR for $2 billion before a single one of their headsets had hit the market also suggests that some of the internet’s biggest names are fully on-board too. It’s not hard to see why. With an eager gaming community always hungry for more immersive and engaging experiences, and willing to pay a premium price for them, there’s a customer base that’s ready and waiting for content to enjoy. But many are also coming alive to the fact that virtual reality could have a huge impact in a wide range of fields from education to business and even in the world of online gaming. The latter is likely to be an especially lucrative area, especially in light of the phenomenal rise of online gambling over the last decade. While attendances at real casinos have been on the decline, the opposite has been true of their internet counterparts, especially for the key demographics of 25 to 35 year olds. This has introduced whole new sector of society to the world of casinos and, coincidentally, it’s a group that is often the quickest to adopt new technology. So far they have been able to enjoy a facsimile of a casino experience but virtual reality promises to replicate far more accurately the excitement and atmosphere of the real thing. This could spell bad news for land-based casinos everywhere, many of whom already seem to see the writing’s on the wall. For example, in the light of falling gaming revenues, there’s a distinct move in Las Vegas resorts to build up their entertainment and nightclub offerings including the construction of a new 20,000 seater entertainment venue. Some online casinos have already been taking great strides towards offering more of a live casino experience with real dealers through live streaming in charge of blackjack and poker games and croupiers running roulette. 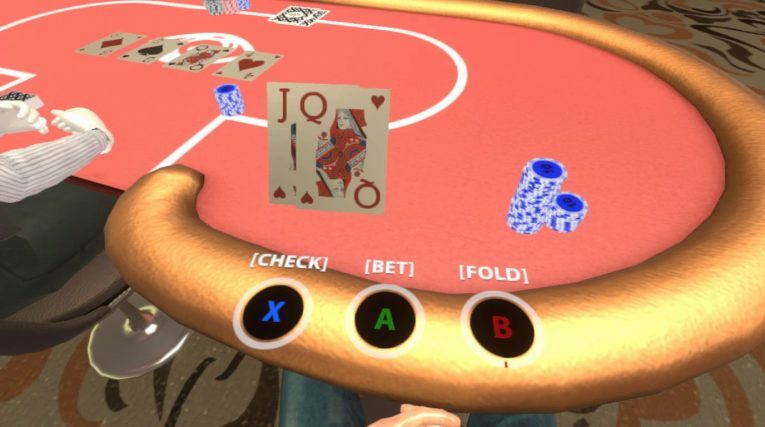 Now the introduction of virtual reality could take the experience to a whole new level by creating a truly authentic in-casino experience which would allow the player not just to be part of their surroundings but also to move around from game to game. Naturally, there would be a number of technical challenges to be overcome but there is certainly the will and the incentive for online casino owners to overcome them. Whether this will be another body blow for land-based casinos it’s hard to predict. But it’s certain that many people will want to continue enjoying the authentic thrill of playing the casino without having to put on a headset – so it’s unlikely that the Bellagio or Caesars Palace are going to have to shut up shop anytime soon.